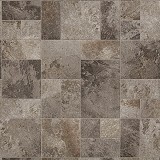 Mannington vinyl floors - also known as resilient flooring - have been a popular vinyl flooring choice for many years. Mannington creates its vinyl floors with an eye towards style and affordability as well as being environmentally conscious. By using recycled matter and using ultra-low VOC inks Mannington creates a vinyl flooring product that is affordable, well designed and made in the USA.